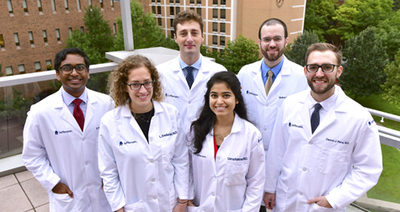 We are also pleased to welcome the following preliminary interns (not pictured) in general surgery: Drs. Leila Driansky, Anthony Hage, Gregory Hanson, Daniel Taylor, and Alexander Vraa. (2018) "Meet the Interns," Jefferson Surgical Solutions: Vol. 13 : Iss. 2 , Article 6.